In this paper, we obtained solution of Einstein field equations for Bianchi type VI cosmological model with time dependant cosmological term of the form and . It is observed that cosmological term is decreasing function of time which is consistent with results from recent supernova Ia observations. Also, it is noted that the model approaches to isotropy for = 1. All the physical parameters are calculated and discussed. S KHADEKAR, SHILPA SAMDURKAR, SHOMA SEN, G. Bianchi Type VI Cosmological Model with Varying $\Lambda$ Term in General Relativity. Global Journal of Science Frontier Research, [S.l. ], jan. 2017. ISSN 2249-4626. 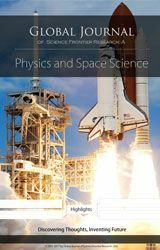 Available at: <https://journalofscience.org/index.php/GJSFR/article/view/1885>. Date accessed: 23 apr. 2019.